Home » Food » Fish Food: Steel-High’s aquaponics program yields school-to-table fare. Fish Food: Steel-High’s aquaponics program yields school-to-table fare. Order a dish in a local restaurant—let’s say Mangia Qui, Home 231 or Garlic Poet—and the food on your plate may well be locally grown. No big deal, right? After all, farm-to-fork is all the rage. But when I say locally grown, I mean locally grown—like a mile away. And available any time of the year. And raised by school-kid farmers. 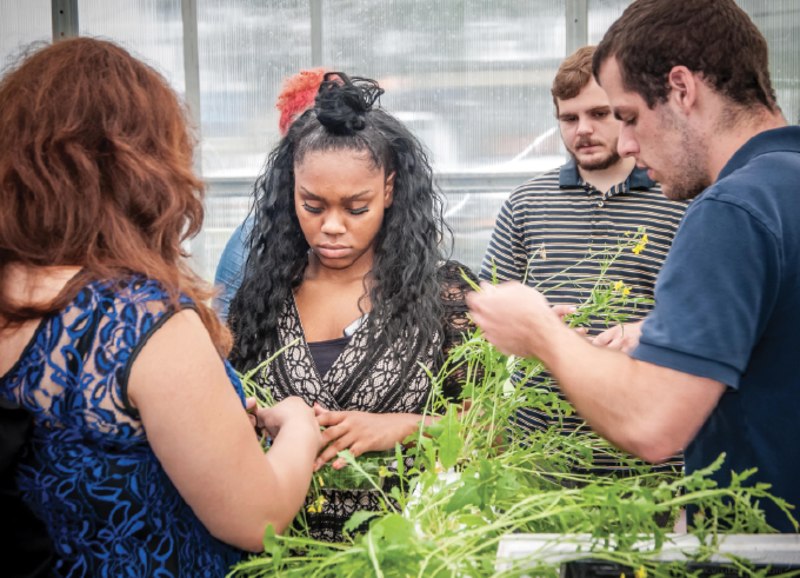 Your lettuce, arugula or basil may have originated from the Steelton-Highspire School District, which, last year, launched an aquaponic greenhouse program and quickly found local markets for its goods. So, what’s an aquaponic greenhouse? It’s a combination of aquaculture, or fish farming, with hydroponics—the science of growing plants in water without soil—into an interdependent system that produces fish, feedstock, fruit and vegetables year-round in a climate-controlled environment. The aquaponic system filters water from its fishery operations, which, in turn, fertilizes its crops through fish waste. Clean water then is returned from the plants back to fish. 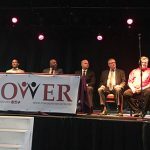 The Steelton-Highspire School District is the perfect site for such a venture, said Bob Welsh, founder and director of the Wheelhouse, a program of Jump Street, a Harrisburg-based organization focused on youth empowerment. 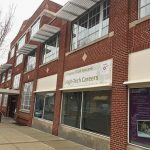 The Steel-High greenhouse is a collaboration of Aggreco International and the Wheelhouse School to Table Education Program, funded largely through donations and by the Pennsylvania Department of Community and Economic Development. After two years, the district will have the option of taking over the costs to continue the program. 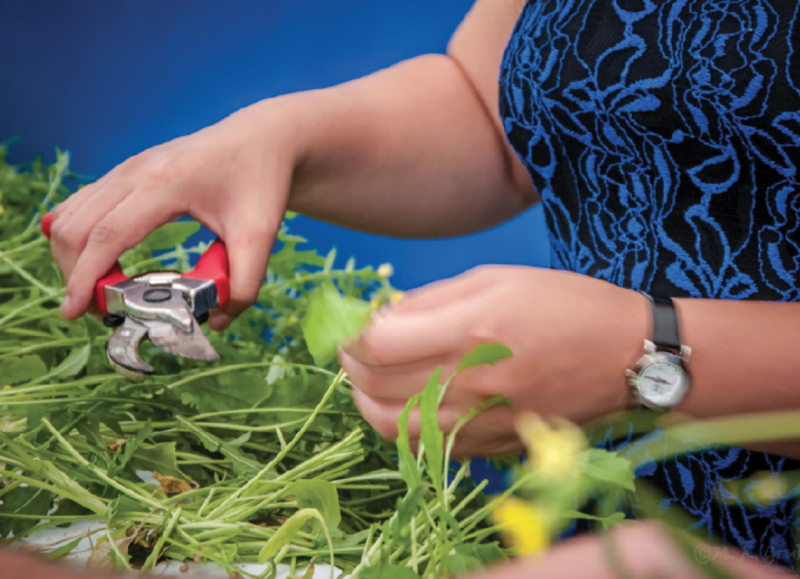 Aquaponic programs also are maintained on a smaller, classroom-level scale at Marshall Math Science Academy and SciTech High in the Harrisburg School District, the Milton Hershey School and several locations in the Philadelphia area. Junior/Senior High School Principal Mick Iskric, Jr. shares that passion. So far, mostly 11th– and 12th-graders have worked in the greenhouse, but all students in grades K-12 get a chance to come into the greenhouse and see how things work. Waters said that district administrators are developing a multi-grade curriculum for the program. Older students even work in the facility for pay during the summer months. Zuleyka Folk, a junior, and seniors Jessica Cunningham and Katie Jorich work in the greenhouse during the school year as part of their chemistry class. They were selected for the job as top students with dual enrollment at Harrisburg University. “This is how the world will be eating in 50 years,” noted Cunningham of Steelton. “I love teasing the fish,” joked Jorich of Steelton. The greenhouse is host to a wide variety of more than 4,000 growing plants, as well as an abundant fish community comprised of tilapia and Malaysian prawn. The plants provide a multitude of collard greens, chard, mint, bok-choy, onions, beets, kale, basil, lettuce, watercress and more. A tropical plant section provides bananas, mangos and cocoa beans. The fish aren’t forgotten either. Duckweed is grown as fish food. Fish and produce are delivered to a number of restaurants and markets within a 15-mile radius of the greenhouse. Previous Post The Envelope Please: And the Oscar goes to . . .
Next Post Fabric of History: African-American History Quilt tells of a people, a place.